In recent years, many of the country’s biggest contact lens manufacturers moved to set minimum sale prices for their products, meaning any retailer wishing to discount these lenses couldn’t go below that price floor. The practice — which would have been illegal until a 2007 Supreme Court ruling — has come under scrutiny from federal lawmakers, and Utah state legislators passed a bill earlier this year that would outlaw this form of price-fixing in the state. However, a federal appeals court has temporarily sided with the lens makers and blocked that law from being enforced. Utah’s Contact Lens Consumer Protection Act [PDF] would prohibit contact lens companies from any practice that “has the effect of fixing or otherwise controlling the price that a contact lens retailer charges or advertises.” Lens companies would also not be allowed to discriminate against a retailer based on its retail price for lenses. Bausch & Lomb, Alcon, and Johnson & Johnson have all begun to implement these price floors. 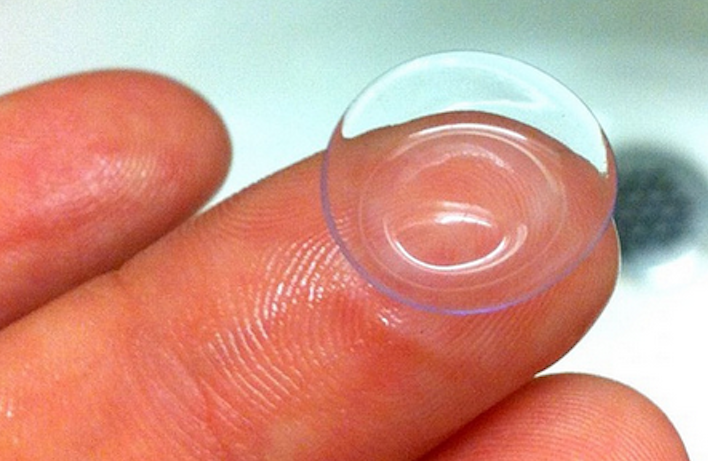 Together, these three manufacturers account for nearly 80% of the U.S. contact lens market. While physicians may recommend and prescribe specific brands of medication for their patients, they are not allowed to sell to them directly. Optometrists, on the other hand, can provide both the diagnostic work to determine a prescription and sell contact lenses directly to consumers. Additionally, most contact lens prescriptions are brand/model-specific, without any sort of generic equivalent. Thus, the only way for a retailer to compete with an eye care professional was on price. In 2013, Alcon, owned by drug giant Novartis, was the first to set price floors for its products. It explained at the time that it was trying to combat “showrooming.” That’s where the patient gets the prescription and other relevant information from the optometrist, but rather than by from the eye doctor, the patient goes online or to a discount retailer to get their lenses for less. Lens manufacturers claim that they go to great expense to educate and inform eye care professionals, only to see their lenses bought elsewhere. By setting the price floor, it takes away much of that incentive for patients to look elsewhere for their lenses. Since there aren’t generics, the lenses would be the same price at the eye doctor as they would be from an online discounter who is barred from selling for less. B&L and J&J soon followed suit with price floors of their own. The new Utah statute sought to make price-fixing a misdemeanor offense, but only in terms of the contact lens market. Alcon, J&J, and B&L sued the state of Utah [PDF] in federal court, seeking an injunction against the law being enforced and alleging that the Utah legislature had overstepped its authority in violation of the Commerce Clause of the U.S. Constitution. It’s not like the eyeglass market, where the price of the lens is only part of a consumer’s buying decision. A retailer can compete by offering a wider variety or more fashionable selection of frames, for example. For nearly 100 years, most attempts at setting retail price-floor agreements were viewed as violating the Sherman Antitrust Act. But then in the 2007 case of Leegin Creative Leather Products, Inc. v. PSKS, Inc., the U.S. Supreme Court ruled that it manufacturers could indeed set price floors in some situations. In overturning earlier precedent, SCOTUS had pointed out that retailers facing price floors could use the money they would have ceded through discounts and invest it in “greater customer service” so as to gain a competitive edge. Earlier this week, the District Court judge denied the request for a preliminary injunction, saying that the lens makers were unlikely to be successful at trial. But only days later, the 10th Circuit Court of Appeals granted that injunction [PDF] while giving the state — and Costco and 1-800-CONTACTS — until May 26 to file responses with the court.